A few years ago, technology based on Artificial Intelligence could only be found in science fiction novels. Today, however, this technology has long become a part of our everyday lives. When looking towards China, it becomes quite obvious what can become possible due to this innovative technology if one recognizes the opportunities and fully engages with it. ARTIFICIAL INTELLIGENCE (AI) INFLUENCES ALL AREAS OF LIFE, including those where you least expect it. Japan predicts that it will take less than 20 years for 80 percent of geriatric care to be carried out by robots. Robots are machines that learn and they will soon take more and more decisions from us. 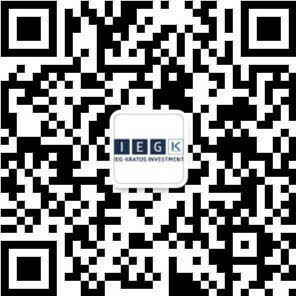 IEG - Investment Banking Group introduces the pioneers in this field and shows where the development is heading. What is the status quo in Artificial Intelligence? Who sets the tone? Artificial Intelligence is a key technology that has become indispensable and has accompanied us for several years - the vision of developing "humanized robots" with the help of AI was born more than 60 years ago. At present, almost everyone who has a smartphone has AI. An example is Siri, which is a so-called "Narrow AI" technology. This is a system which is developed to solve individual given tasks. In addition, many people already use so-called "chat bots" such as Google Home or Amazon Echo. These are speech assistants that combine speech recognition and speech output. For example, you can book a hotel room or order a pizza to your home. At the moment, the USA is certainly still leading the way. Companies such as Amazon, Apple, Google, Facebook and Co. have huge amounts of data and deep learning systems and have already won the game for the end consumer. However, there are also voices that say that China has long since caught up with the USA with companies such as Baidu or Tencent. Data protection, regulation and government support certainly play a central role here. Can you give some examples of what Artificial Intelligence looks like in practice in China? "Facial recognition plays an important part in China already. In large cities such as Shanghai this technology is placed besides traffic lights to capture jay walking people." China is already making extensive use of Artificial Intelligence in everyday life. Apps such as "Dianping" or "Hema", for example, are able to create a user profile of the user's food preference based on restaurant visits and comments on social networks. When it comes to ordering fresh food, the app matches these preferences only with the restaurants in the area that are able to deliver the desired food within 30 minutes. Another example: Facial recognition is used to eliminate traffic obstructions. In large cities like Shanghai, cameras are installed at traffic lights that are able to recognize faces. If a pedestrian crosses the street when the lights are red, his face is caught and his ID and photo are displayed on a large screen. For example, if this person uses the payment function "Alipay", a penalty payment is automatically debited to his account there. In the area of payment security, payment systems such as Alipay, wechat pay or Huawei pay have already implemented AI in order to profile the payment behavior of the user and show his credit-worthiness. Thus, even if a stranger has the correct account password or fingerprint, payments cannot be made if they happen at an unusual time or place from the user's point of view, without showing additional legitimacy. What can Europe, specifically Germany, do to catch up with AI? In a European comparison, Germany is lagging behind the UK and France when it comes to AI. So there is certainly potential in Germany which, in my view, is not being sufficiently exploited and promoted. The reason for this is that we need a "culture of innovation". We still have the problem that too little is invested in innovation and the interaction between research, investors, the state and companies does not work. We are by no means lacking good ideas and approaches in Germany - we just have to think and implement them to the end. The article was originally published at Financial Yearbook in July 2018. This 3-question-interview offers a first insight into how Artificial Intelligence can change all our lives. In an industry report to be published at the end of July, IEG further examines how the industry is developing, what influencing factors there are, which players have a decisive influence on development, which market shows the greatest potential and whether robots will really take over the world in the future.